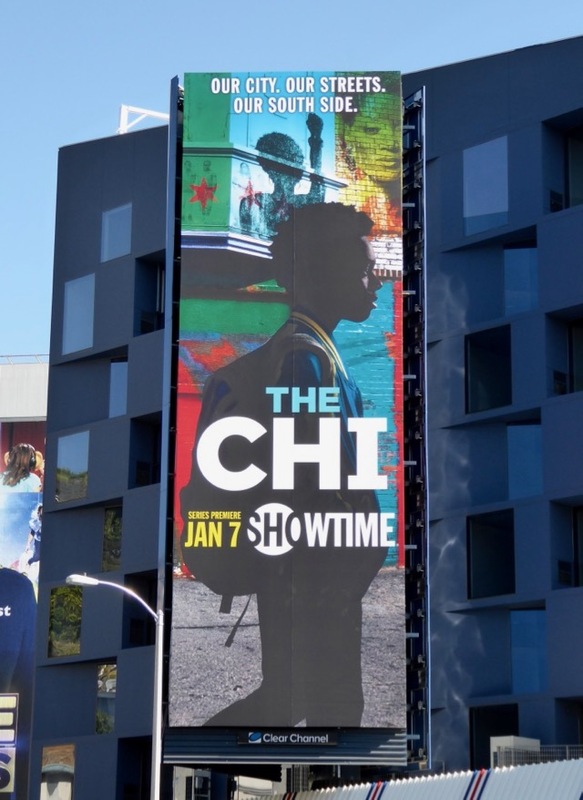 Lena Waithe made history when she became the first African-American woman to win an Emmy for comedy writing on Master of None last year and now she's back with a new thought-provoking Showtime drama, The Chi. 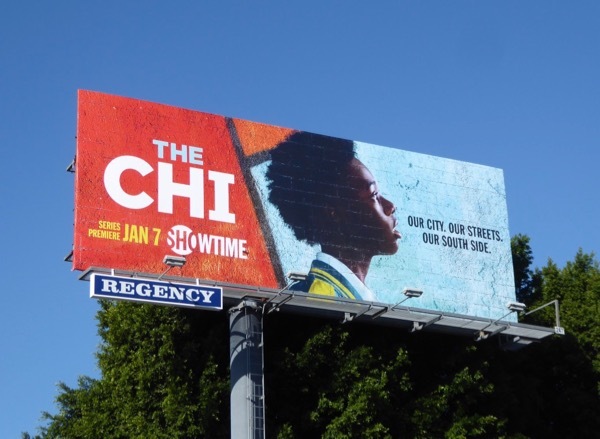 The series is a coming-of-age tale and follows the lives of people living in African-American neighbourhoods on the South Side of Chicago, striving to make the right choices to overcome life's challenges. 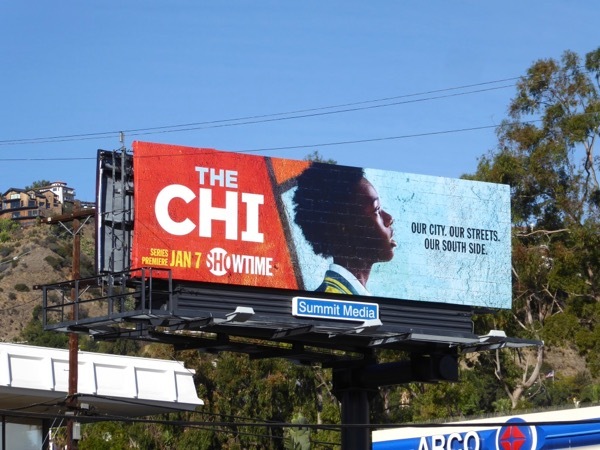 These series launch billboards which feature Alex Hibbert were photographed along the Sunset Strip on December 27, 2018, and you can also see him in these movie billboards for Moonlight. 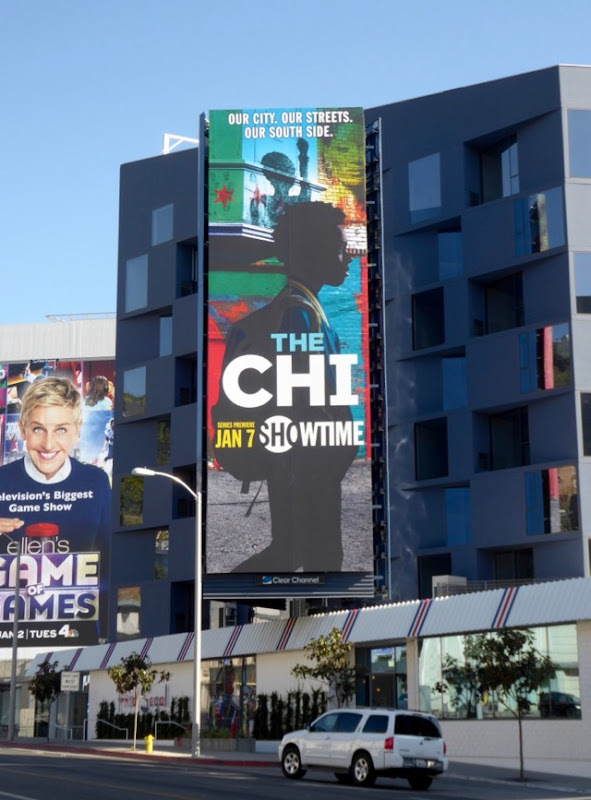 They say write what you know and as Lena Waithe grew up on the South Side of Chicago and with her unique voice as an out black woman, actress and writer, this should make for an interesting show. 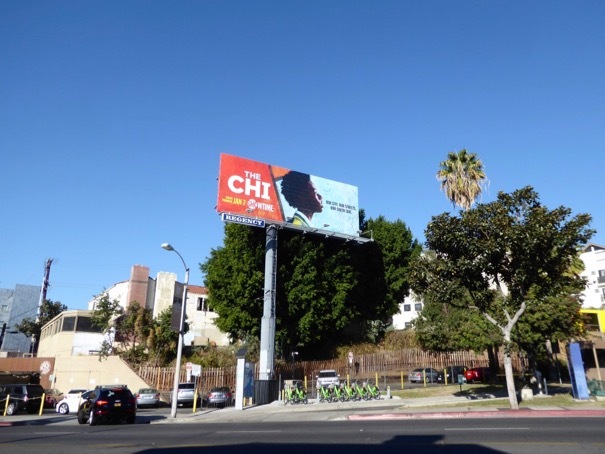 UPDATED: Here's another landscape billboard example spotted along Sunset Boulevard at Fairfax Avenue on January 13, 2018. 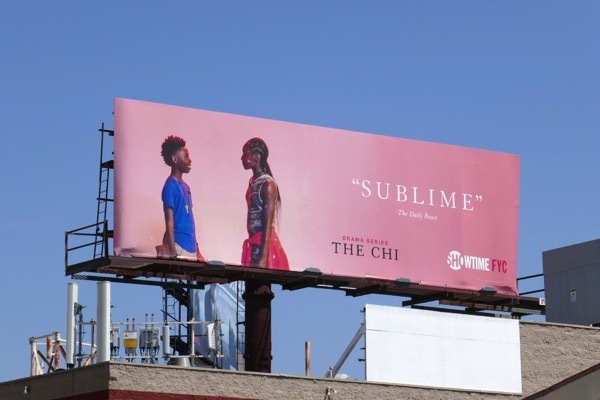 UPDATED: Here's also a 'Sublime' Emmy consideration billboard for The Chi's debut season snapped along Olympic Boulevard on May 28, 2018.